1. Determine the total heights of the trees illustrated below. 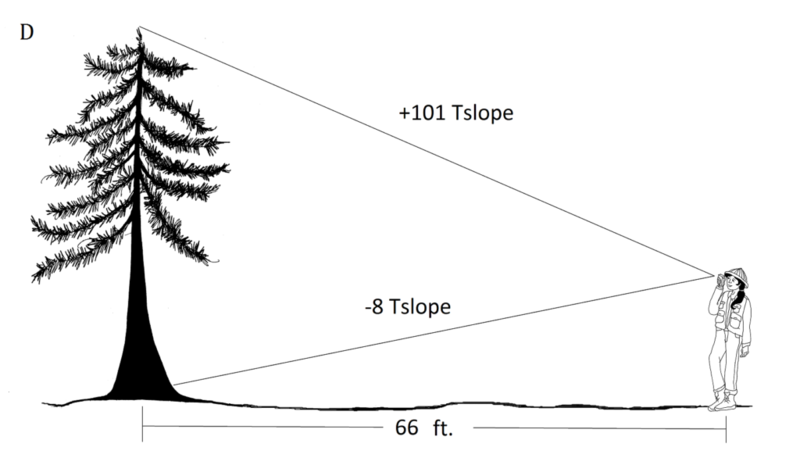 Pay attention to the horizontal distances and slope scale used for each. 2. How should the total height of this flat-topped tree be determined? 3. Calculate the height of the leaning tree. 2. 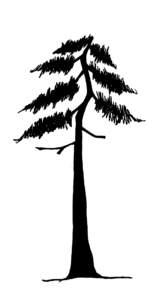 The top of the tree will have to be reconstructed because of the broken top. This can be done by using a neighboring tree similar in size and taper as a reference. b. 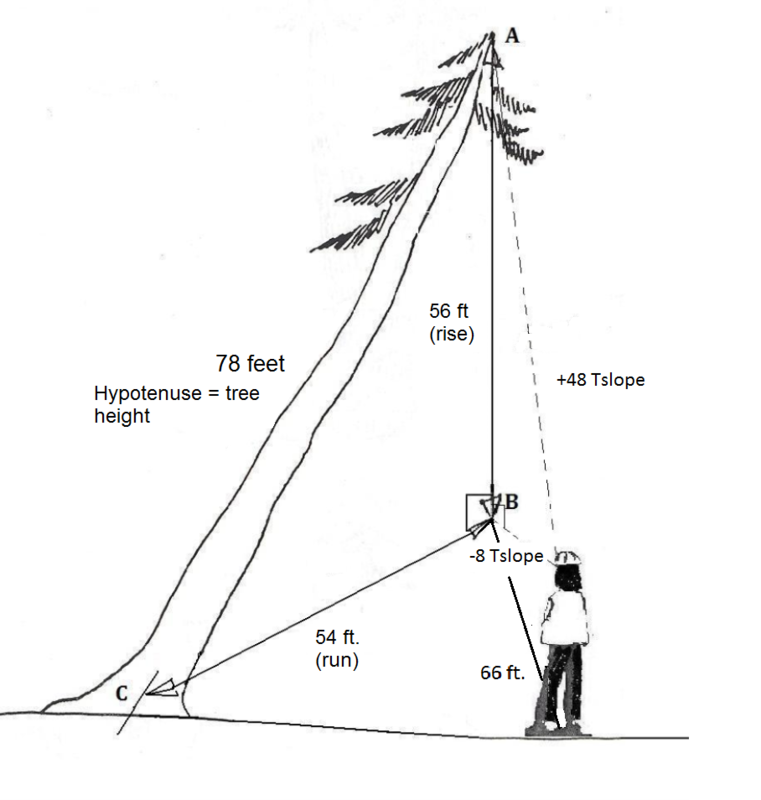 The horizontal distance from the base of the tree to the fall line is 54 feet. Thus you have two sides of the right triangle. Next: 3.1 Why Tree Diameter?